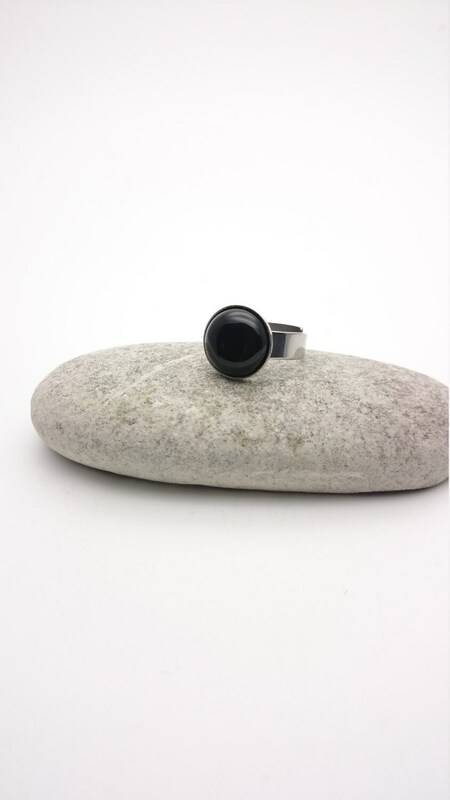 Black onyx silver adjustable hypoallergenic ring//Black onyx stainless steel ring//Round black onyx cabochon 12 mm surgical steel ring. 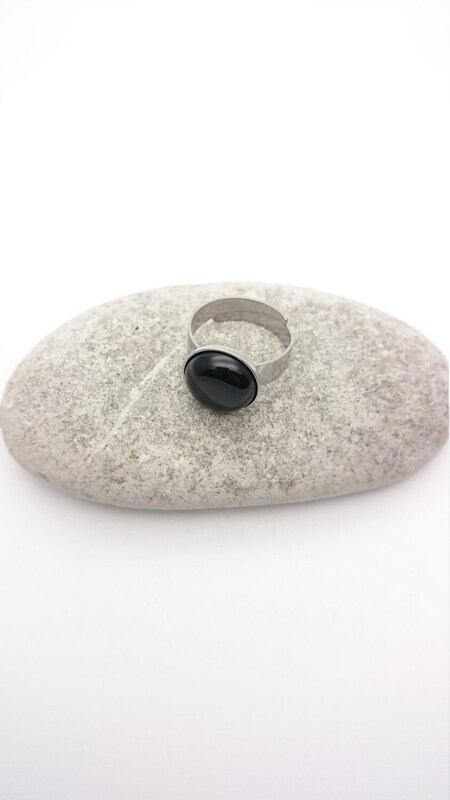 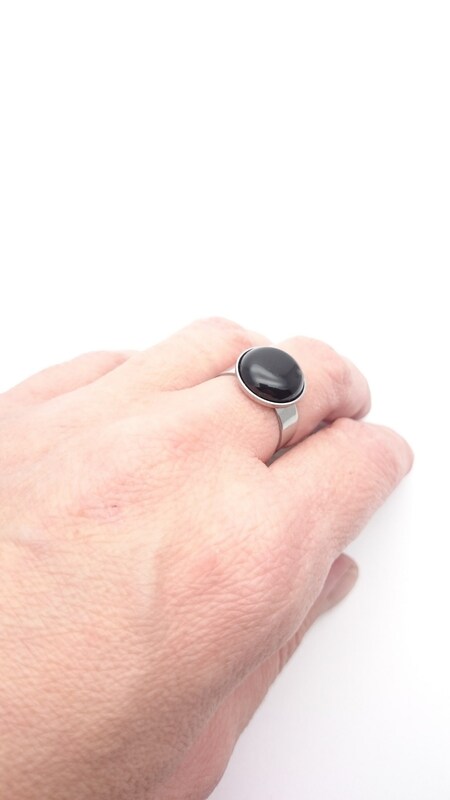 Black onyx and silver stainless steel ring. 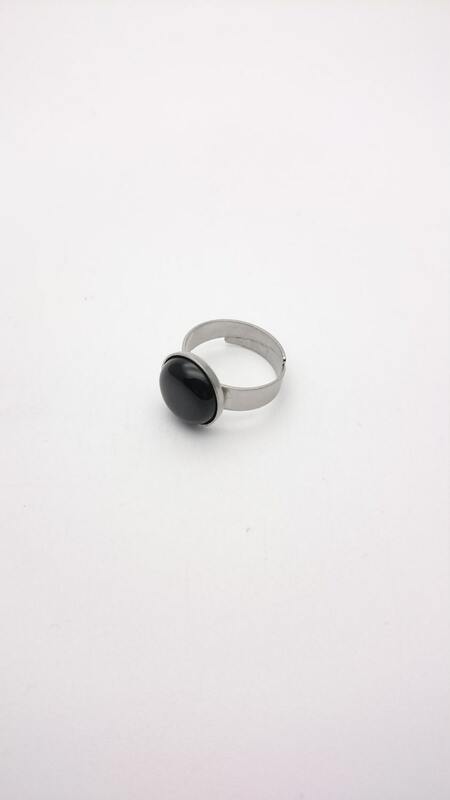 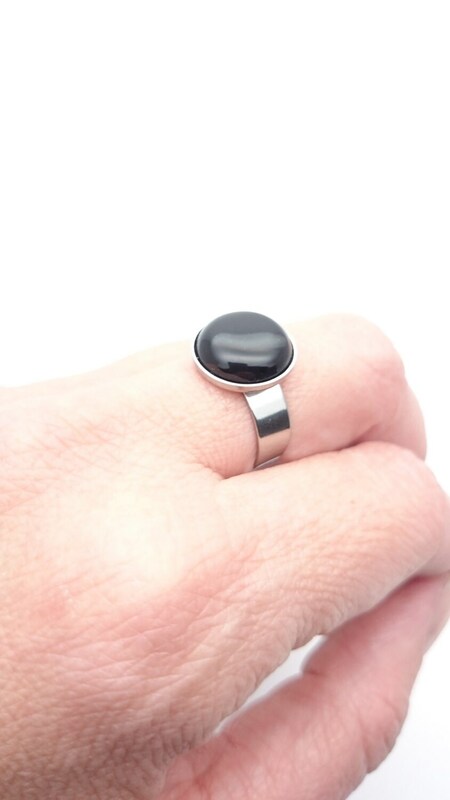 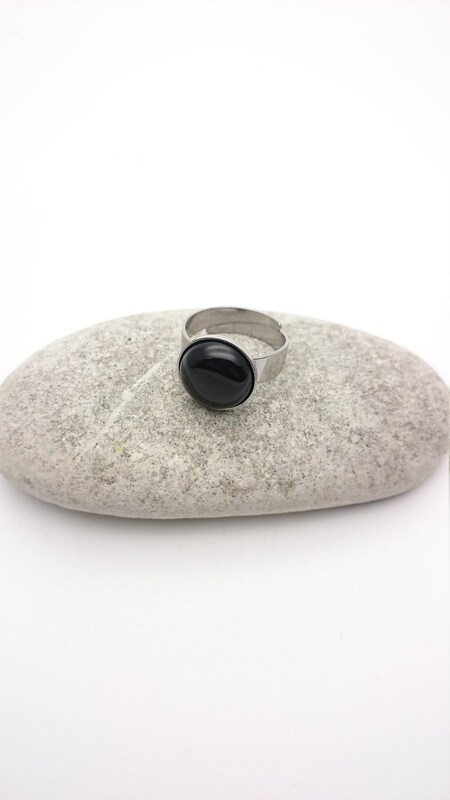 Black onyx semi-precious gemstone cabochon 12 mm and silver stainless steel ring. 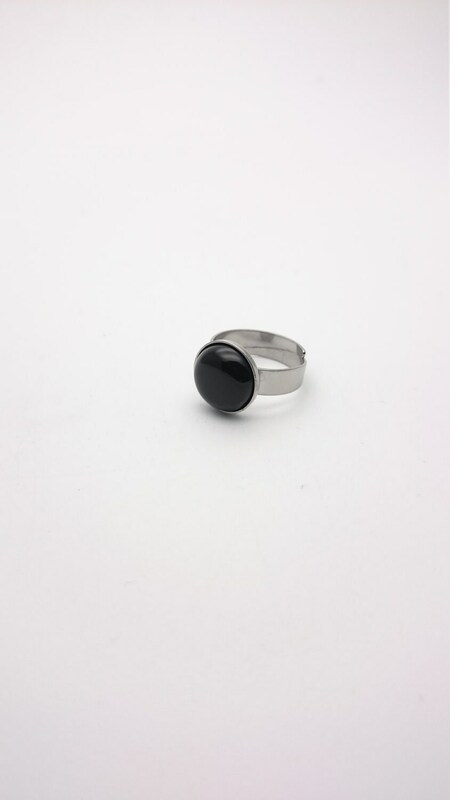 Black onyx cabochon size : 12 mm diameter.